"...he is likely to clear this evening’s rivals..."
Carl Perry's GEELO SUZI (Trap 5, 18.55) has been in tremendous heart of late and she is fancied to capitalise on a quick switch back to graded company. Her exploits in open company read well in this line-up and, with sound claims of attaining an early lead out wide, we're expecting another bold showing. A top grade A1 affair takes centre stage at 20.37 and the red-hot BOWLINE SKANSKA (Trap 5) is fancied to land the 4-timer. The son of Ballymac Vic has been showing fine early pace and whilst those victories have come from the striped jacket, recent exploits suggest he is likely to clear this evening's rivals once more approaching the first bend and he can have enough in reserve. 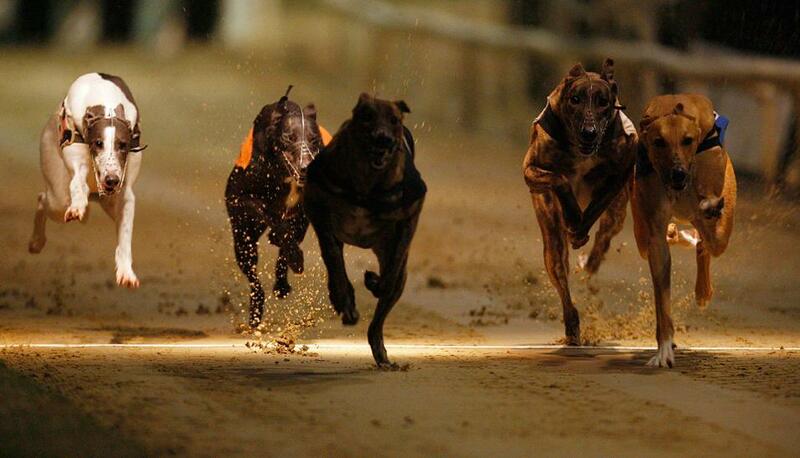 Our final selection features at 21.22 with CEST LA VIE (Trap 5) expected to play a lead role. The September 15 whelp hasn't done himself any favours with slow breaks of late yet his exploits on the clock still read particularly well in the context of this race and a clear run can see him too strong.